For almost three days, we met at the beautiful site of Lake Ringsjön in Southern Sweden for our project’s kick-off. Yes, it was foggy in the beginning, and yes, it also rained, but so we enjoyed the rainbow after and the spring-like sunshine in between. Similarly, we experienced our group discussions with a diversity of viewpoints and so much inspiration for social-ecological visions. Project members in LimnoScenES meeting for the first time. Lake Ringsjön, Höör, Feb 2019. 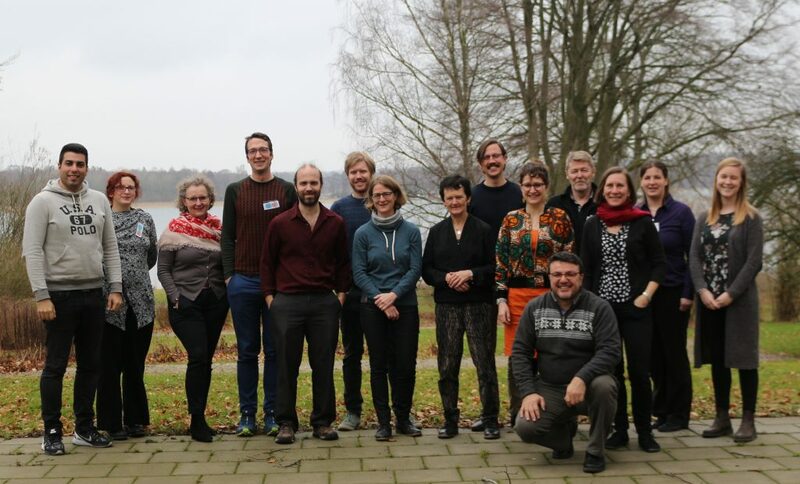 Within LimnoScenES our aim is to better understand functional biodiversity in lakes which is influenced by and in turn influences human activities and well-being at lakes. Our team includes ecologists, environmental scientists, political scientists, sociologists and those who have experience in several subjects. The research we do interlinks with stakeholder activities in three case studies. Together, we aim to develop meaningful visions for human life at water.